Mr. Haggard is a business owner and highly qualified professional with 30 years experience as a landman and project manager for numerous projects in the oil and gas and telecommunications industry. 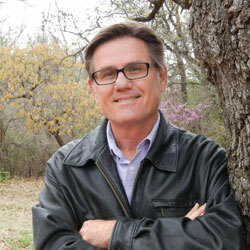 He began his career in 1981 as a landman in Oklahoma and Texas. In 1987 he started Haggard Land Services supplying land-based services to a variety of clients within the pipeline, utility line, and oil and gas industries. He developed expertise in project management, examination of land records, negotiating and preparing contracts and preparing title reports on surface, mineral and leasehold. In 1996 Mr. Haggard created Skyward Land Services and transitioned those land skills to thetelecommunications industry. He has provided turn-key site acquisition and project management services for clients such as Sprint Spectrum, Sprint PCS, Nextel, Clearwire Communications, TowerCo, U.S. Cellular and Suncor Canada Oil and Gas. He has also negotiated tenant agreements with tower owners such as American Tower, Crown Castle, AT&T, Verizon, T-Mobile, Global Towers and Sprint just to name a few. Mr. Haggard is a member of OCAPL, AAPL and the IRWA. He holds a Bachelor of Arts, from the University of Central Oklahoma.